Alan Kassay and Nick DeSantis -the town's auditors (PKF O'Connor Davies) met with the Town Board yesterday about the financial health of the town. The link is below and a summary of their findings is attached. They said that the financial health of the town is excellent and provided us with an analysis and recommendations. · General fund (A budget): a $740,000 positive variance compared to final budget in revenues. Budget to actual expenditures: overall positive budget variance of $4.8 million. Total budget, revenues & expenditures: positive budgetary variance of $5.5 million. 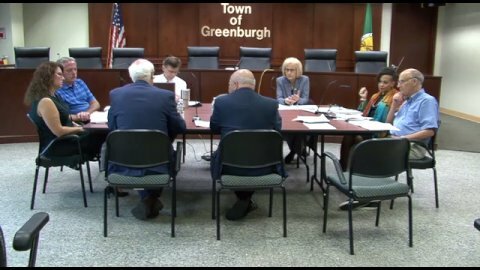 · Town outside villages (B budget- only unincorporated): Overall negative variance of $2.5 million in revenues. Sales tax and hotel tax: Positive: $1.4 million: Building permits: $3.5 million negative. EXPENDITURES: a positive variance of $4.1 million. Overall the negative variance from over estimating building permit fees was offset by expenditure savings in public safety ($674,000), culture and recreation $427,000) and home and community services: $481,000. A positive variance of $3.7 million. Received a “No designation” fiscal stress rating from the NYS Comptroller’s Office. Issued Report to Those Charged With Governance: Management Letter, no material weaknesses noted.